Domino wasn’t really cooperative this morning, so I didn’t have a whole lot of catblogging photos to choose from. 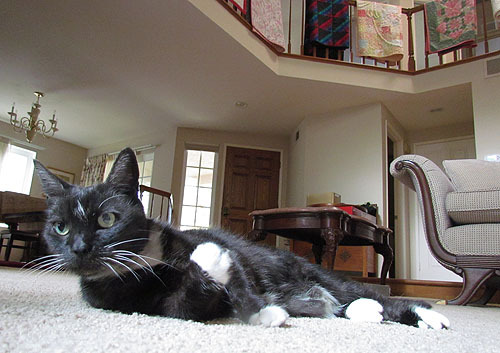 She did deign to let me take a few pictures, though, before she got up to rub her face against the camera and then go upstairs for her mid-morning snooze (not to be confused with her early morning snooze or her late morning snooze). But it’s raining around here anyway, so what else is there to do?